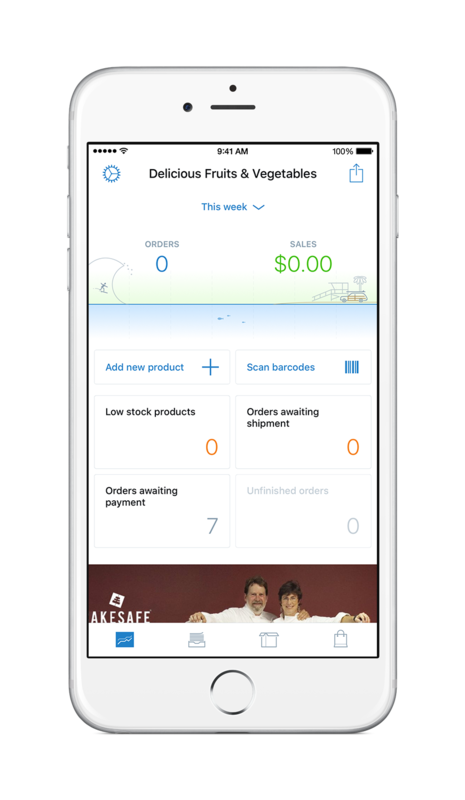 Mobile app for iOS allows you to instantly manage your store wherever you are using your mobile phone, get notified about new orders with push notifications and share your products on Instagram and Facebook, or via text messaging and email. Choose a product you want to update. 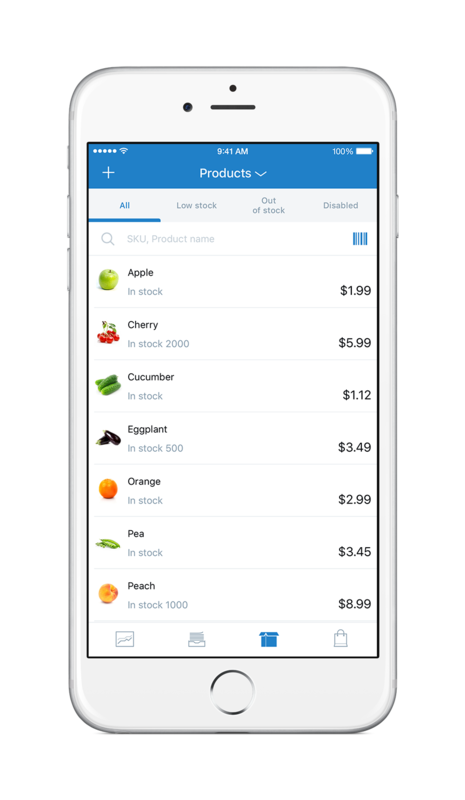 Tap the product price to open product controls. 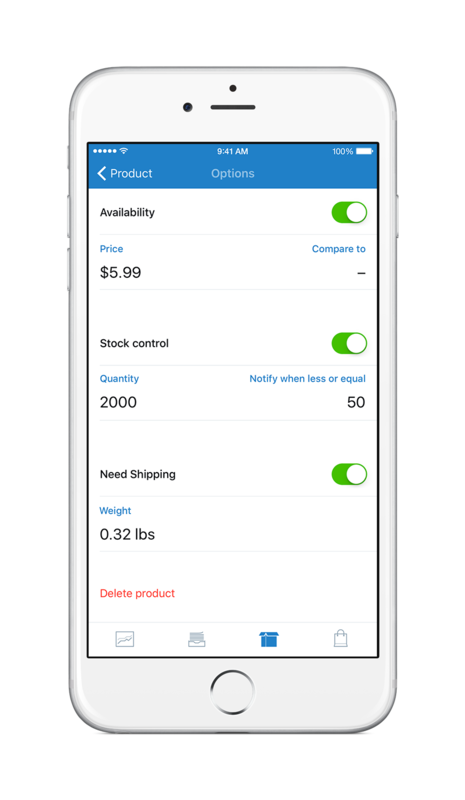 Here you can toggle product availability, change the price, set up sale price, manage the quantity of items in stock, set up the item weight and delete the product. Tap the order to see its details. 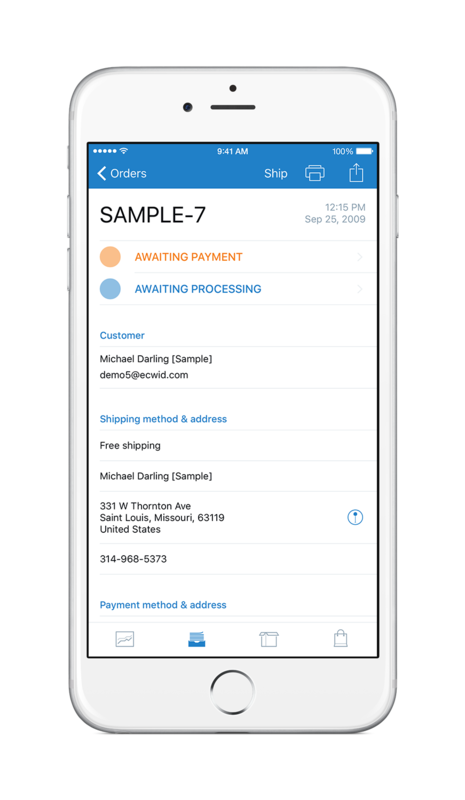 To change the order status, tap the status (for ex. Awaiting Payment) and choose new status from the list. The status will be changed immediately. 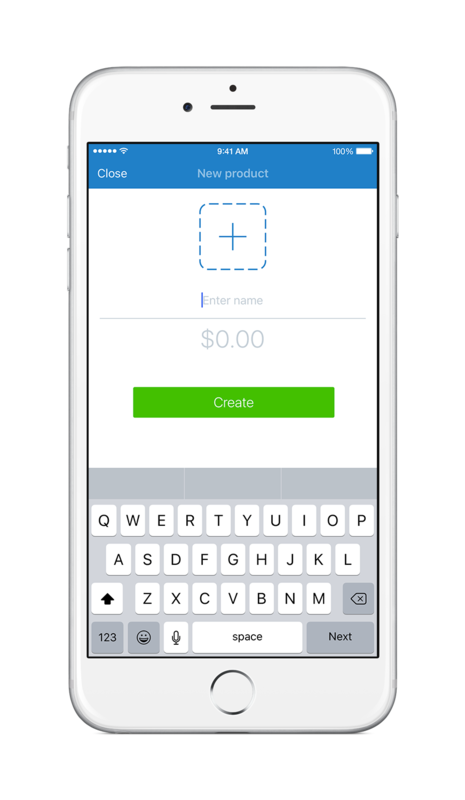 Tap Add new product button to start adding new product. 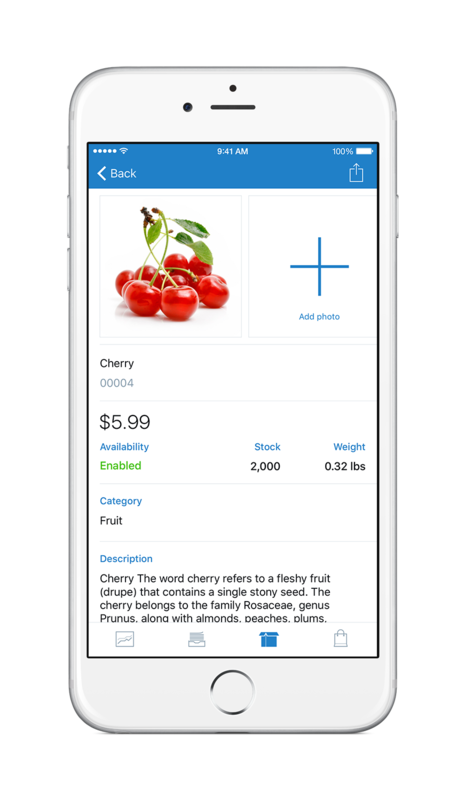 Enter the product name, price and tap the plus to add the image. 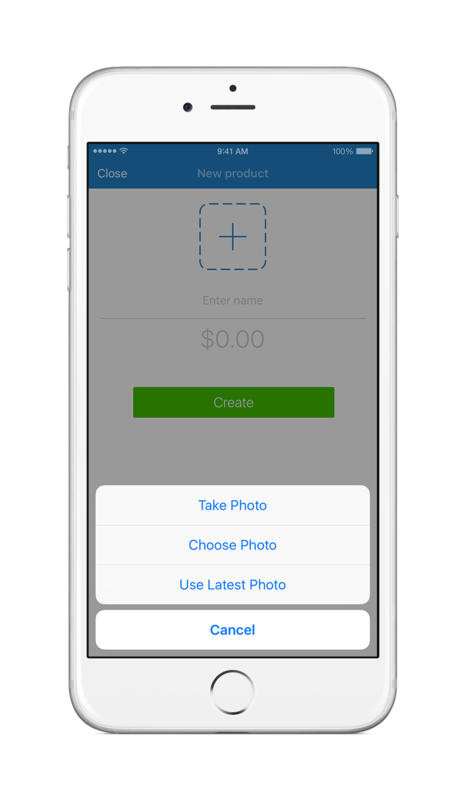 You can add the product image by taking a photo or choose any existing image. Tap Create when you're ready. 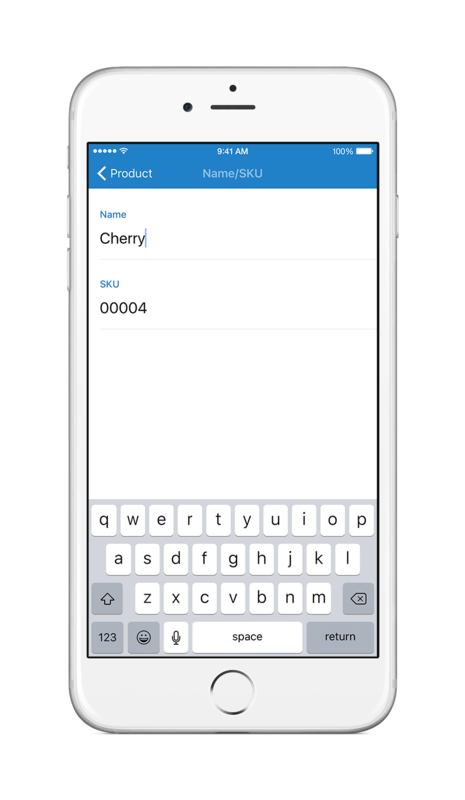 Tap product name to update the name and SKU. 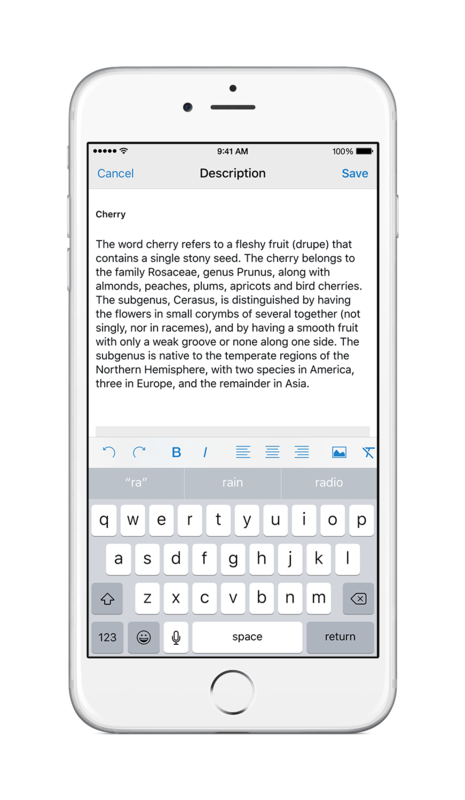 Tap Description to update it using built-in editor. Tap Category to choose the categories the product should be assigned to.